Picks up after episode 19 of Hayate no Gotoku! season 1. Season 2 is supposed to follow the manga more closely. 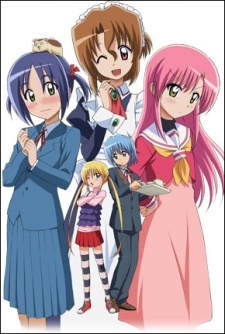 Hayate is still working as the Sanzenin Butler, and season 2 features a lot more Hinagiku, as scenarios that include herself and Hayate allude to potentially mutual feelings between them. Nagi is also interested in escalating her relationship with Hayate, since Nagi's perception of her relationship with Hayate remains based on the miscommunication that occurred on their first meeting. Hayate no Gotoku!! : Atsu ga Natsuize - Mizugihen! Episode 1 - In English, "Unmei" Means "Destiny"